Orange Roughy live 1000 metres below the surface off the east coast of Canterbury, New Zealand, it’s dark and cold, and still. So still that trails carved by drifting icebergs in the sediment of the ocean floor 18,000 years ago can still be made out. Down here, schools of fat orange roughy feed on small fish and crustaceans, before congregating in huge numbers to spawn. Some of these long-lived fish have been here over a century, long before the commercial fishing potential of these waters was discovered in the late 1970s. The oldest found was estimated to be 149 years old. In the decades since, the fate of these fisheries has swung from promise to crisis to fresh hope with the recent Marine Stewardship Council certification of three of New Zealand’s nine orange roughy fisheries. 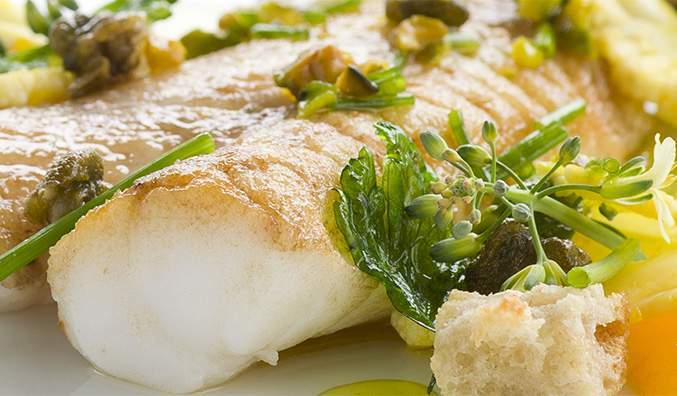 Though it is found in similar habitats throughout the Atlantic, Indian and Pacific Oceans, it was discovery of New Zealand’s fisheries that brought orange roughy attention as a culinary fish. Anyone who has seen the fish whole on a fishmonger’s shelf will recognise its heavy, cartilaginous head, which gave rise to its unappealing former name of ‘slimehead’. In the mid-1970s, a marketing programme through the US National Marine Fisheries service came up with the catchier ‘orange roughy’. Following this rebranding and the discovery of the new fisheries, the sweet, easy-to-cook fish increased in popularity so quickly it became a victim of its own success. By the late 1980s nearly 90,000 tonnes of the fish were being caught globally, with 54,000 tonnes coming from New Zealand alone in 1989. Patrick Cordue, an independent scientist who models orange roughy stocks, describes these early years as having “somewhat of a ‘gold rush’ mentality”. By the early 1990s it became clear to scientists that orange roughy were much less productive than first thought. So, the stock size estimates were recalculated – downwards. New Zealand fisheries managers responded with large reductions in the amount commercial fishermen were allowed to catch. By the mid-1990s the annual catch allowance had been reduced from a high of 65,000 to 25,000 tonnes. To outsiders it was evident that orange roughy populations were overfished, and environmental agencies began holding orange roughy up as proof that the fishing industry was reckless. Swift action was needed. Further catch reductions were made and several New Zealand fisheries were closed to allow stocks to recover. By 2000, the total allowable catches had been reduced to around 17,000 tonnes. Fisheries managers, fisheries scientists and fishers went back to the drawing board to try to find a better way forward. Today, the industry accepts they had to ‘learn by doing’. “Nobody gave us a manual with orange roughy,” says George Clement, who leads New Zealand’s Deepwater Group and chairs the industry body Seafood New Zealand. The first step was to develop more accurate study methods. 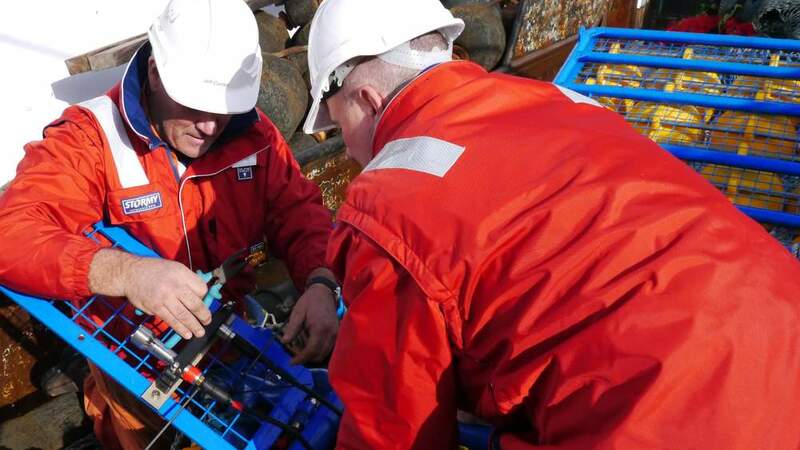 In conjunction with Australia’s Commonwealth Science and Industrial Research Organisation (CSIRO), the New Zealand industry invested in new acoustic survey equipment that differentiates between different types of fish in undersea congregations. Paired with fibre-optic video feeds, the scientists and fishers onboard can see exactly what fish are being measured in real time. “The development of this acoustic and video technology has enabled a huge leap in our ability to measure these stocks. It’s taken substantial investment; in addition to the NZD $100 million the government has spent on orange roughy, we’ve spent about $30 million developing the ability to estimate stocks of these fish,” says Clement. 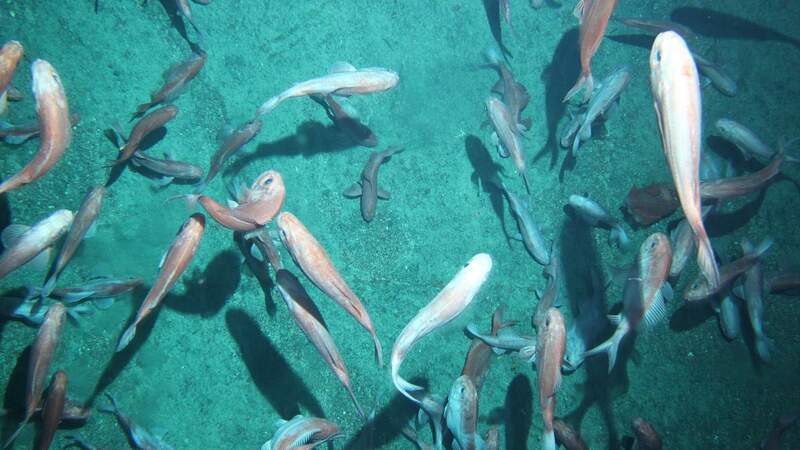 Armed with new reliable estimates from their acoustic surveys, fisheries scientists then developed new ways to more accurately age and model the orange roughy populations. Consequently, catch limits are now set at around 4% of the stock size, compared to 15-20% during the early years. Stock sizes have since increased to around 40% of the natural population size (above the maximum sustainable level for a long-lived fish that has many adults of reproductive age within the stocks). New Zealand orange roughy fisheries now catch about 6,000 to 7,000 tonnes a year, with an annual export value of over NZD $50 million. This rate of fishing secures a long term future for orange roughy, and will also allow stocks to continue to recover. The earlier ‘goldmine’ mentality, has long gone. Today fishers realise the high value that can be obtained from this fishery year-on-year if managed sustainably: take less but earn more. That’s an independent certifier called MRAG Americas, accredited to carry out assessments to the standard set by the Marine Stewardship Council (MSC). This standard is widely recognised as the world’s most credible measure of sustainable fishing. 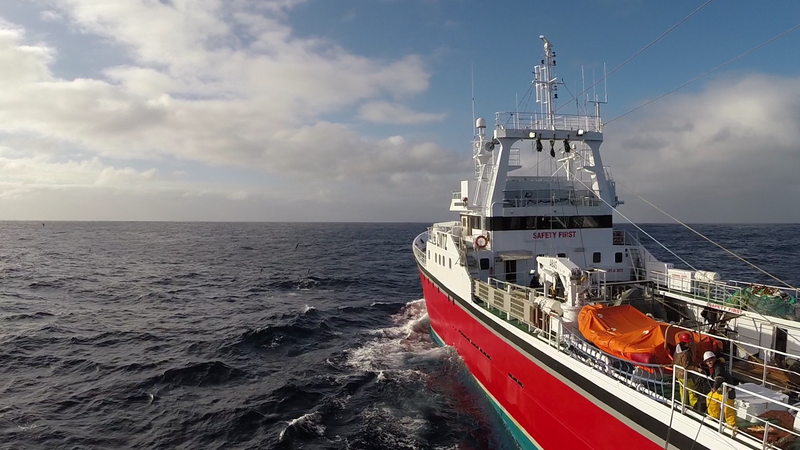 For more than a year, New Zealand’s three main orange roughy fisheries, which produce over 60% of the annual catch, have undergone a rigorous audit. 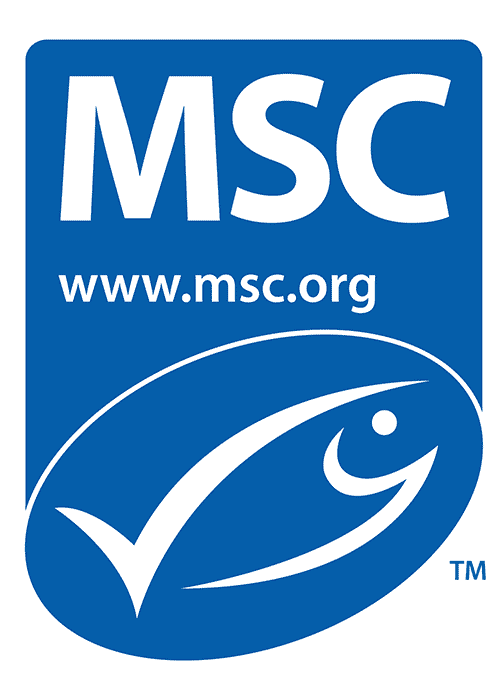 Stock sustainability, impact on the environment, fishery management systems and ‘ocean to plate’ supply chain traceability have all been assessed – and they’ve passed, securing the MSC blue label. This means consumers can once again choose orange roughy with assurance that it’s sustainable, says David Agnew, Director of Science and Standards for the MSC. “Everything [in the audit process] is science-based, and stakeholders are consulted. But, just because someone says something is sustainable, that’s not necessarily believed. This is great news for people who remember (perhaps with a tinge of guilt) enjoying orange roughy during the 1980s and 1990s. Among them is Darren Lovell, head chef and owner of seafood restaurant Fishbone in Queenstown, New Zealand, who has already made the choice to put orange roughy back on the menu.